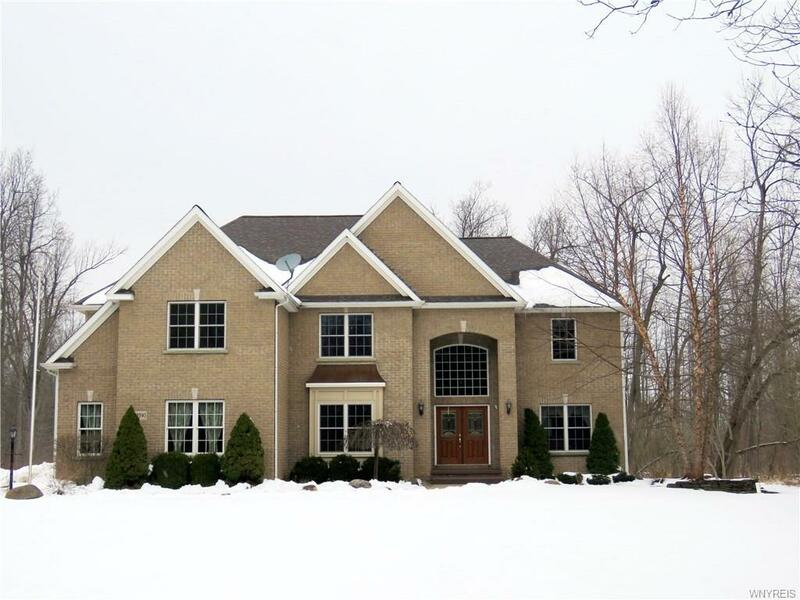 Impeccable Custom built Colonial on over 5.5 acres of land. This 4 bed, 3.5 bath home greets you with an over 18 foot grand entry foyer. Spacious bright and open. Some highlights include: kitchen with tons of cabinets, Corian counters, island and breakfast bar. Family room with fireplace, first floor den with built in shelves. Quality of construction shows throughout. Anderson Windows, solid doors, full yard sprinkler system and much more. The 2nd floor has 4 bedrooms each with private access to a bathroom and tray or vaulted ceilings in each. The master suite includes bath with Jacuzzi tub, spacious closet and workout area. There is also a 2nd floor laundry. All this and a private yard with covered patio overlooking your in-ground Pacific salt water pool. See today! !